Designing an eCommerce and supply chain management solution for a European retail organization operating globally through a multi-channel retail model. 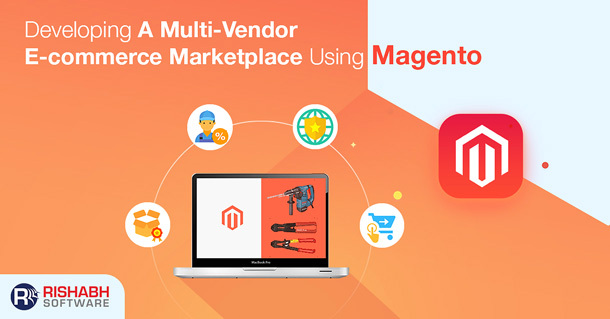 Our eCommerce client wanted to implement a multi-vendor eCommerce software solution to streamline their operations and increase efficiency by eliminating manual processing. As an application development consultant and well-known Java development company, Rishabh’s team helped the client meet their specific business goals. The client had multiple suppliers and needed an integrated eCommerce and retail vendor management solution to manage their existing supply chain and improve operational efficiency. The integrated solution simplified the order management process through eCommerce and automated product supply chain through vendor management. Rishabh Software’s team developed an integrated solution using Java because of its technical flexibility and secure transaction layer. The solution was built using the Spring Web framework which is a well-designed web MVC framework. To simplify the payment management process, the custom integrated Java solution delivered a consistent transaction management interface to the enterprise that could scale up and down as per the needs of the operation – be it a local transaction or global transaction. Rishabh Software offers software development and custom mobile solutions and services to clients all across the globe. Our goal is to provide the best solution to our customers in industry verticals we serve by leveraging latest technology and market trends.